VPNMaps is a user friendly site allowing you to compare existing VPN services to find the one that fits you. VPN Maps has announced that Le VPN is one of the best VPN offshore services. 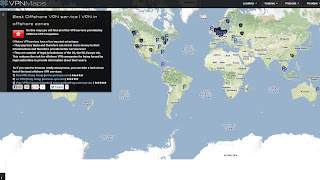 VPNMaps.com allows users to find the best VPN servers, through a handy interface, i.e. with a map of the world. You can choose your selection criteria, i.e. the country where you are located, but also the different protocols used, the cost or the main use of the vpn. VPNMaps reviewed Le VPN as one of the leading offshore VPN service providers. • It is located in jurisdictions outside the United States, the United Kingdom, Europe, etc. … This reduces the risk for a VPN offshore company to be requested by the judicial authorities to provide information on its users. Le VPN, which is based in Hong Kong, gives you all these benefits, with a very high quality service. If you want to be completely anonymous and experience your activities on the Internet freely and safely, go for an offshore VPN. Choose among Le VPN various offers.